You can't believe how easy it was to brute force this guy's password. I would have made a dedicated account but your registration system is down and time is short. CLUE: J to Z, Seven Zippers, Pull out your own truth. The real events of Isla Nublar will never be silenced! You'll hear more from me soon. Haha, I've changed it for you! Good luck trying to figure it out! Think you were clever with that password, weren't you! Ok, so... what is up with this image? He's got it on my 50webs account, so I assume he's got access there. Maybe we should figure out what he wanted us to do with this image? Last edited by Anna on Tue Nov 10, 2009 11:39 pm, edited 1 time in total. Whoa dude, got peeps hacking your account x_X What, did you make the password "jurassic" or something? So erm.. Maybe this has something to do with JPO..? Weren't you just complaining to Draco about pulling this sort of thing? Without trying to give it away, neat images ... not sure if they're from Trespasser or screencaps from the movies though? Those text files the plot of JPO? Download them both for the hint. Make sure they are in a folder with file details. EDIT: Still not getting anything.. Neither of the images have any Summary info..
EDIT2: Aha! I've found it.. Very nice Sam, very nice. Those text files the plot of JPO? Why? All it says is the filename, the filetype, the dimensions, the size, and the date modified. I found nothing in Vulcan2a.jpg. Hmmmm, I believe the problem is that you didn't "find" them "correctly".. Remember the clues. Oh, I see! How did you do that? Using this trick you could upload all sorts of things without anybody knowing about them. J to Z. Seven Zippers. Pull out your own truth. JPG to ZIP. Open in 7Zip. Extract. The second clue was to help those who didn't get it as quickly as Christopher. Download them both and compare the filesizes, indicating that there was something in the image file itself. 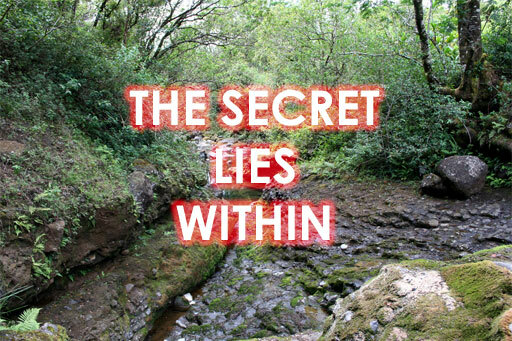 That's what "The Secret Lies Within" means. There will be a new puzzle tomorrow afternoon! Hmmmm. I don't even know what 7Zip is I just changed the file extension to .zip instead of .jpg. That's an awesome way of uploading several things as a picture! I didn't even know you could do that . 7Zip is sorta the same as WinRar, AFAIK . Anyways, I'm sorta looking forward to the next puzzle, even though you are using Sam's account..